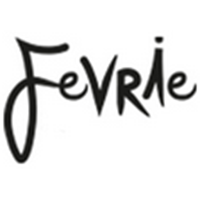 Fevrie is a fashion boutique with a wide variety of apparel items for women. You can find products in the new products section of the site. You can also focus your search for the perfect item or outfit on sections such as dresses, tops, jumpsuits, outerwear, bottoms, intimates, skirts, and swimwear. In addition to these categories, Fevrie offers a large assortment of accessories, including a wide inventory of jewelry products. There is also a sale section of the website, featuring options from many of the categories already mentioned. A blogger spotlight section is available on the site. There is also a magazine section of the site, designed to offer fashion inspiration. For most up to date offers check out Fevrie on Facebook and Twitter or contact Fevrie Support for any questions.